The singer turned to her fans after losing the shirt she's adored for decades. 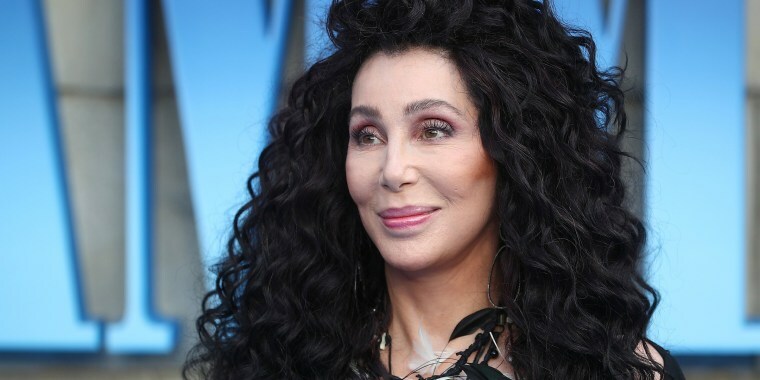 When fans picture Cher, they likely imagine the entertainment icon decked out in a floor-length glittering gown or maybe one of her many sheer, feather-embellished Bob Mackie originals. But most of the time, off-stage, the 72-year-old prefers to keep it casual, often reaching for a T-shirt she's worn for decades. On Wednesday, the acting and singing legend took to Twitter and announced that her favorite garment was gone. She even included a broken-heart emoji and a couple of teary-eyed ones, too, to sum up how she felt. And she offered a description of the tee in case her fans could lend a hand in the search. "Black studded Rhinestone Shirt with white pirate. Worn it for 30-40 yrs. My favorite piece of clothing," she wrote. But her biggest didn't require a description at all. Her beloved shirt, which also has the words "eat the rich" emblazoned across the front, is well-known. She even mentioned it when explaining her "raggedy," "sloppy" at-home style to Harry Smith in an interview for TODAY last year. "My favorite shirt is thirty years old," she said. And when asked if she ever wore it in public, she exclaimed, "Absolutely!" "As a matter of fact, people have pictures chronicling the shirt, you know, for a million years and I don`t care," Cher told him (as one of the above tweets proves). "And I don`t care how many times I wear it." At least that's how she felt as long as she could keep on wearing it, which is currently a problem — one she hopes is only temporary. The star has turned to St. Anthony, the patron saint of lost things, to lend her a hand. And if that doesn't work, there's someone else wiling to help! Among the many replies of sympathy and encouragement from fans on social media was a pic of someone wearing the very same T-shirt. She told Cher, "YOU CAN HAVE MINE!!!"